As if ONE isn't enough, there are TWO of these beauties being given away!! TWO lucky winners. Simply let me know your bracelet of choice and what you would like it to say! Both are for hand stamped personalized brass bracelets, from my Etsy shop yourcharmedlife. These are a new and affordable addition to my shop, directly found here. Simply don't want to wait and want one now at a amazing deal? Use coupon code "BRACELET" at checkout and get 20% off of your bracelet! Good for this bracelet only, in my shop. Hope your week is off to a great start. still very nice give away!!!! I am visiting from FB. These bracelets are beautiful. Thanks for the giveaway! I love this giveaway! I would probably never think to buy something like this at the store either! Thanks for the opportunity! i like this one http://www.etsy.com/listing/100064985/the-original-in-my-heart-cupedhand? 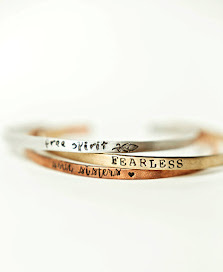 I like this one: http://www.etsy.com/listing/108535018/hand-stamped-bracelet-personalized? I love the camera bracelet! I fell in love with the initials & heart bracelets.. Awee!! ♥ I hope to win, I just wrote up & published my Sharing Giveaways blog post! Wonderful work! Can't wait to check out your etsy shop! Great giveaway! I love the feather bracelet! Darn!! Im Canadian...wish I could enter the contest, oh well, lovely post. I love your products and blog...I will keep you at the top of my list for my next jewellery purchase. I love the feather charm!! on your website, I really like your technique of blogging. I bookmarked it to my bookmark site list and will be checking back soon. Tungsten bracelets available with various kind of designs, colors,attractive with competitive prices. 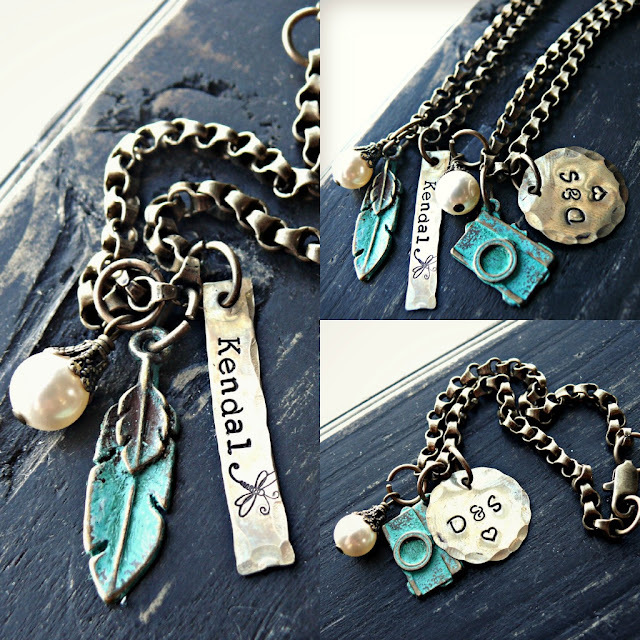 > "TWO hand stamped bracelet GIVEAWAYS" < Liked it!